Exclusive! As the battle against the Empire wages on, it becomes clear that Princess-turned-Rebel-leader Leia Organa has a soft spot for scoundrels, and Han Solo has his own feelings for "her worshipfulness." While the two begin to earn their reputations as heroes for the Rebellion, they come to discover that sometimes in love, it's just about knowing. 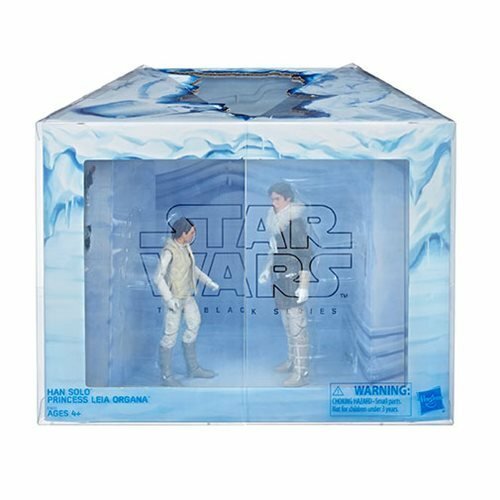 Kids and fans alike can imagine the biggest battles and missions in the Star Wars saga with new, 6-inch-scale figures from Star Wars The Black Series! With exquisite features and decoration, this series embodies the quality and realism that Star Wars devotees love. 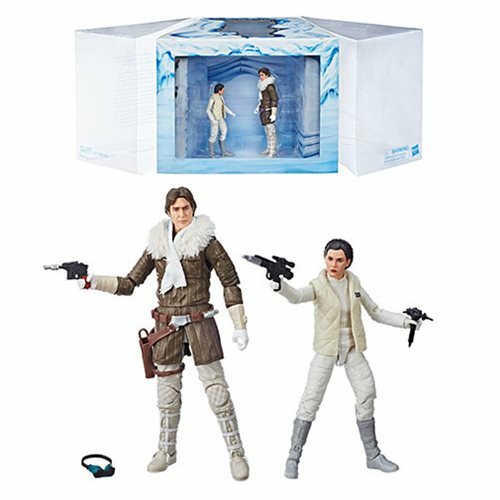 These Han Solo and Princess Leia Organa figures are carefully detailed to look like the characters from Star Wars: The Empire Strikes Back. 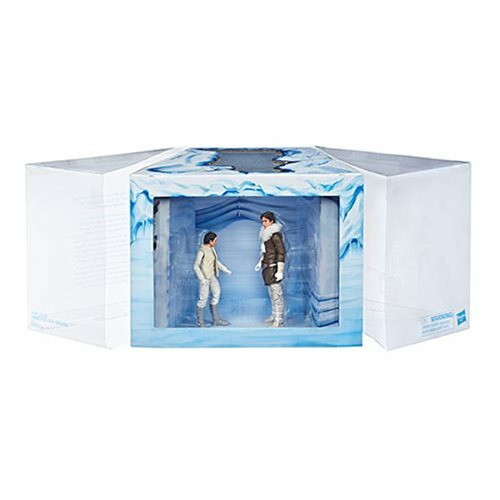 The Star Wars The Black Series Hoth Princess Leia Organa and Han Solo 6-Inch Action Figures - Exclusive figure set features premium detail and multiple points of articulation.